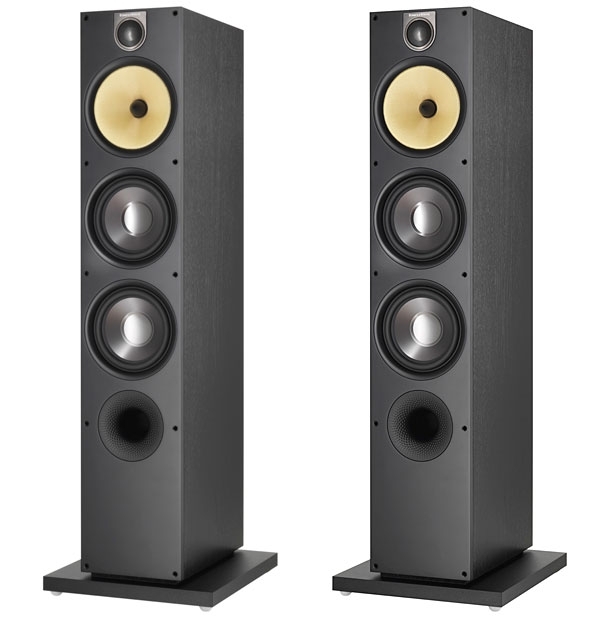 For some time now I've wanted to upgrade my weekend system in Connecticut, and have been surveying three-way floorstanding speakers priced below about $2500/pair. 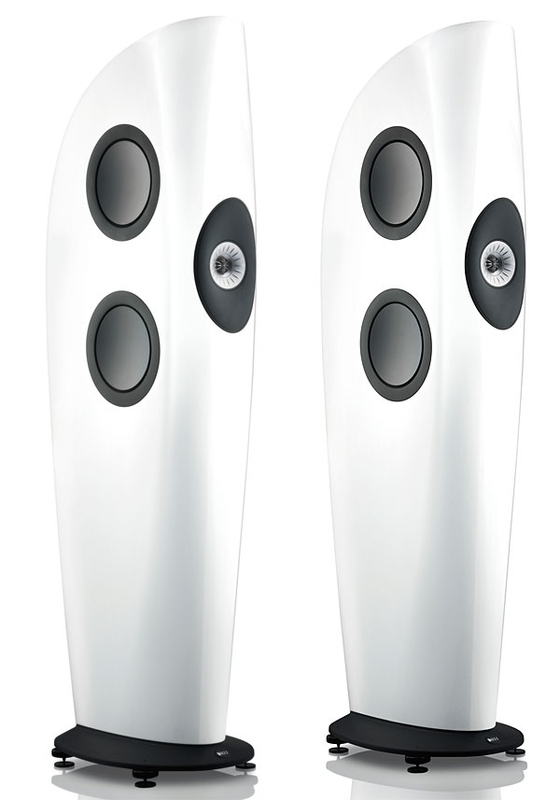 I've focused on the stereo performance of each pair with music because, despite my interest in surround sound, the great majority of recordings are available only in two-channel stereo. 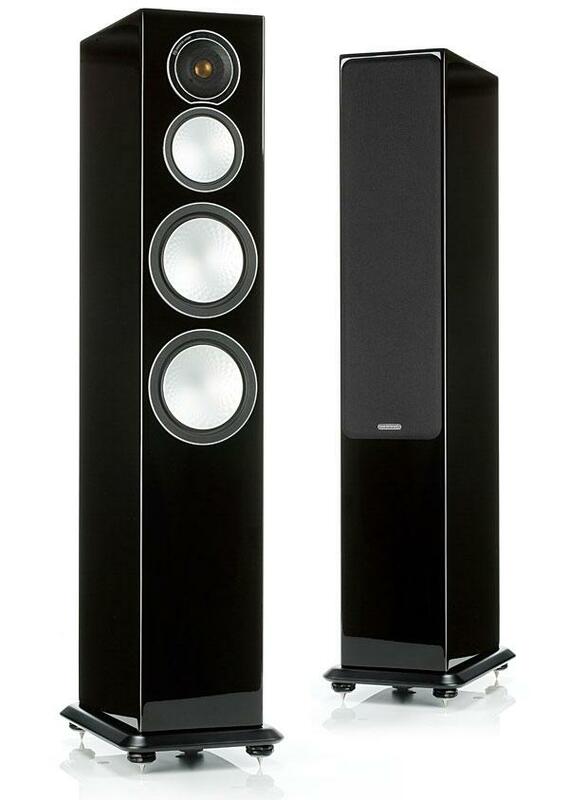 Not wanting to look like a Bowers & Wilkins fanboymy main system has long included their 800-series speakersI put off auditioning B&W's 683 S2. 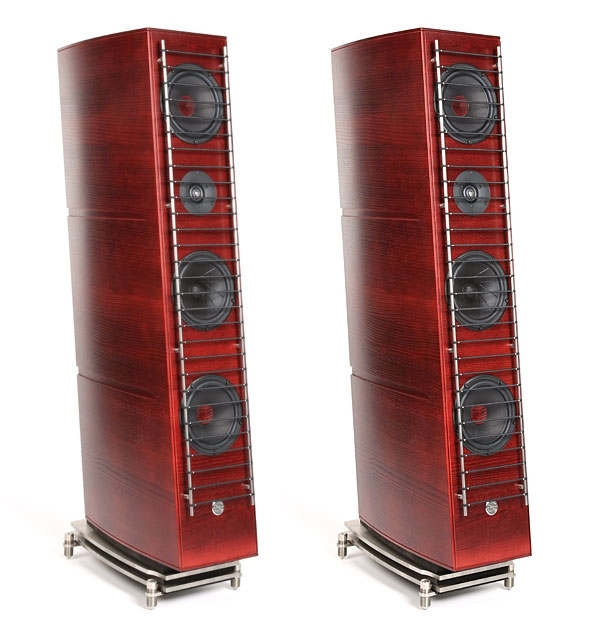 But my goal was to get the best bang for my buck and with the 683 S2 costing $1650/pair, it would foolish to be influenced by such extraneous considerations. 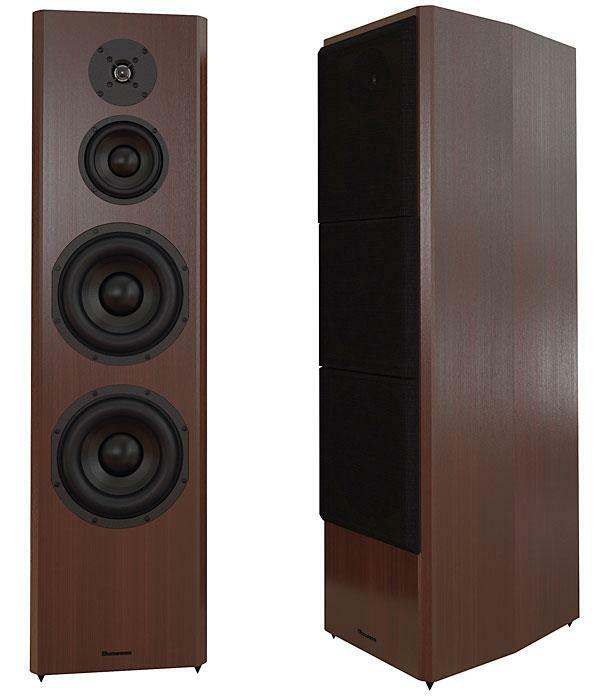 Besides, the 683 S2's three-way design and physical proportions were precisely what I was looking for. 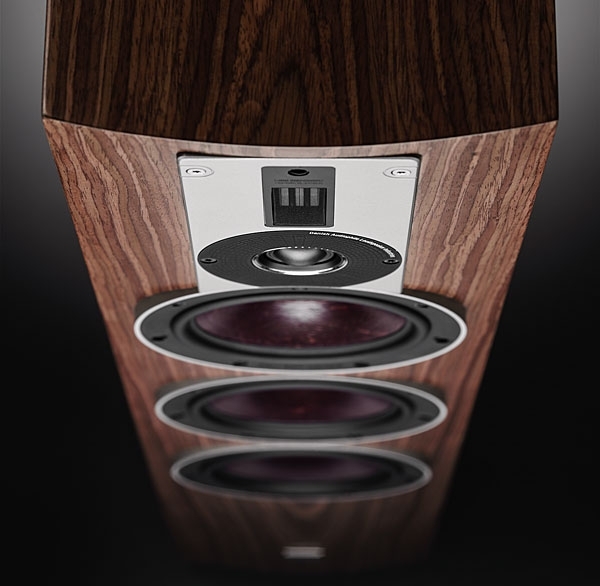 Paradigm is not a new name to US audiophiles, but the Canadian loudspeaker company hopes to increase awareness of its products with their Monitor series, all members of which incorporate a similar design philosophy and drive-units. Heavy and apparently massively constructed, the top-of-the-line Paradigm Studio Monitors ($1899/pair) are the first commercial loudspeakers to pass my way with provision for tri-wiring: three sets of terminals on the back of the enclosures provide direct links to the crossover segments feeding each separate driver (or drivers, in the case of the low end). By now most readers will be familiar with the relatively new tuned-cavity method of low-frequency loading. 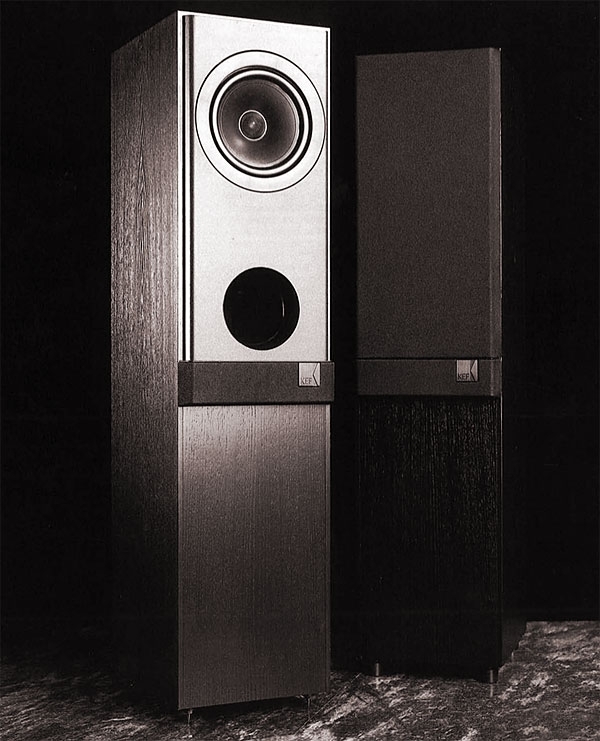 Such designs have popped up all over the place of late, especially in those little satellite/woofer systems, but KEF can rightly lay claim to generating the design's theoretical basis, as JA described in his review of the KEF R107/2 loudspeaker in Vol.14 No.5 (May 1991). Essentially, the technique consists of loading the rear of a woofer in a conventional fashionusually a sealed boxbut also loading the front of the driver into another enclosure, ducted to the outside. Basically, the design acts as a bandpass filter with its response centered on the port-tuning frequency. The rolloff is smooth and rapid on either side of this frequency, providing a natural low-pass characteristic but thereby virtually mandating a three-way system. If properly designed, this configuration offers a number of theoretical advantages. The radiating element is actually the air in the port, which is low in mass. Low distortion is possible, as is relatively high sensitivity. The story's been often told: 30 years ago, British speaker manufacturer KEF was asked to design a small, spherical loudspeaker that could be used in a European project to research room acoustics. 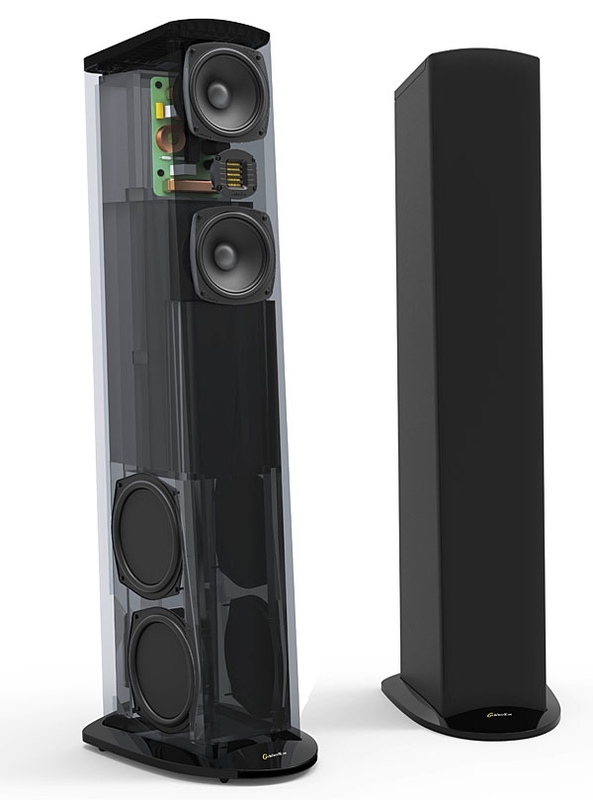 The speaker had to have wide, even dispersion, so KEF's solution was to mount the tweeter coaxially, on what would have been the woofer's dustcap. 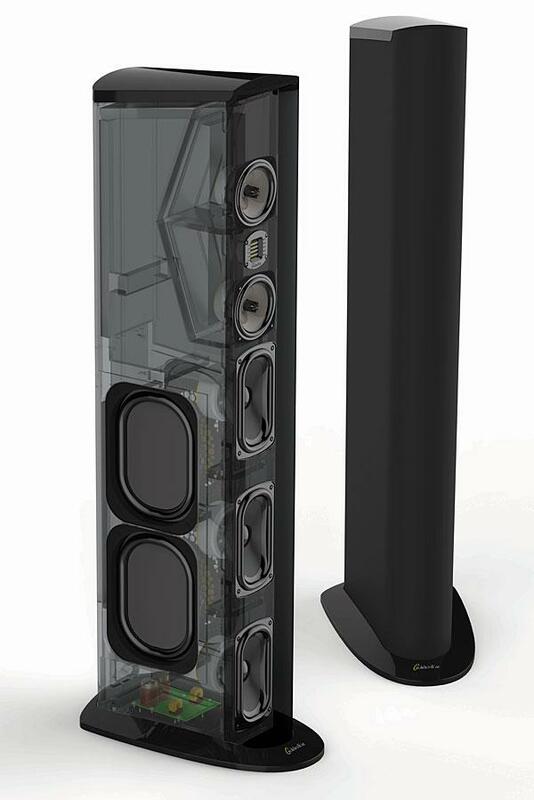 That "point source" drive-unit, called the Uni-Q, began appearing in KEF's commercial speaker models in 1989, starting with the Reference 105/3but it wasn't until the appearance of KEF's 50th-anniversary loudspeaker, the LS50, which I reviewed in December 2012, that I felt that the Uni-Q drive-unit had fully fulfilled its promise, at least in a speaker I had auditioned in my own room. The CD era was well underway. Rudy Giuliani was about to sweep the crack hoes and squeegee humans off New York's garbage-filled streets. Disney was conquering Times Square. It seemed the perfect time for artists and audio weirdos like myself to go underground. Seeking economic sustainability, I hunkered down in my Seaport bunker and started a little business called Eddie Electric. I found a 23-year-old Japanese business partner named Ryochi who was dealing in big-E Levi's, bubble-back Rolexes, and antique Abarth cars. He was my Seaport, New YorkAkihabara, Tokyo connection. 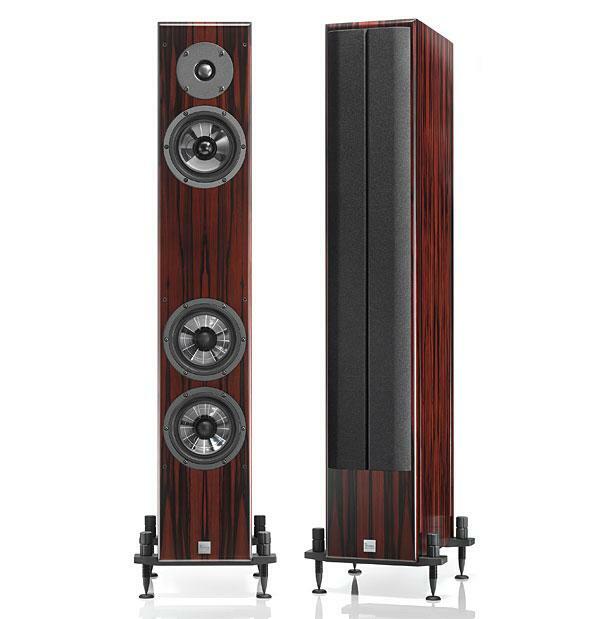 Looking back at our September 2014 issue, I think my review of the Triangle Signature Delta loudspeaker marked something of a watershed in the evolution of my taste in loudspeaker sound quality. For decades I have been a devotee of what might be called "British" sound: low coloration and, overall, a rather polite presentation, coupled with low sensitivity. 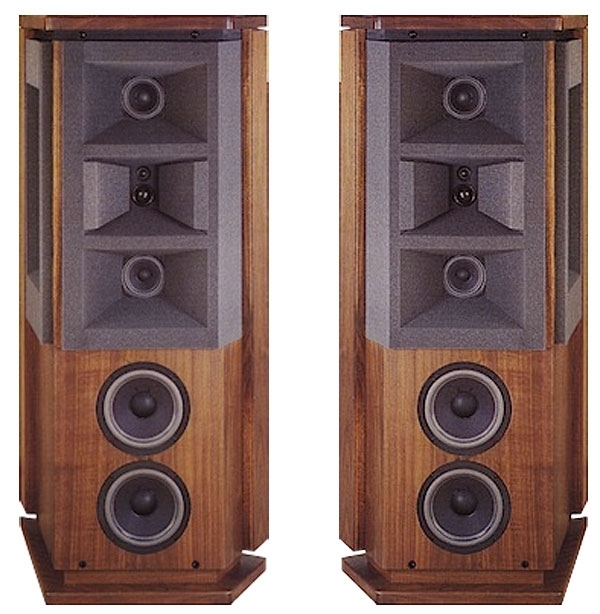 The Triangle speaker opened my ears to what could be achieved with a very different approach: still-low coloration but high sensitivity, impressive clarity, and a hefty dose of what the late J. Gordon Holt called "jump factor," in which the leading edges of transients are neither smeared nor tamed. 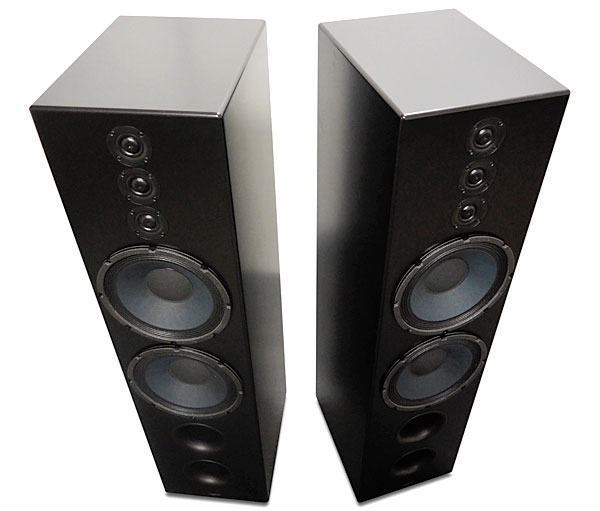 So when, last September, on a visit to Dallas and The Sound Organisation, the US distributor of Danish Audiophile Loudspeaker Industries (DALI), I encountered DALI's Rubicon 8 speaker (footnote 1), which had benefited from a low-loss design philosophy similar to the Triangle's, I asked for a pair for review. I went to Vienna. It was and is a beautiful city, with much of its late 19th- and early 20th-century character still intact. And while there will always be other claimants to the honor, it's arguably still the classical-music center of the planet. I managed to score standing room for a performance of Puccini's Turandot at the Vienna State Opera (as I recall, standing room at the time was the equivalent of about $1 US). Act 1 was so rough that it evoked catcalls from the unforgiving Viennese audience, but after that, things settled in nicely.